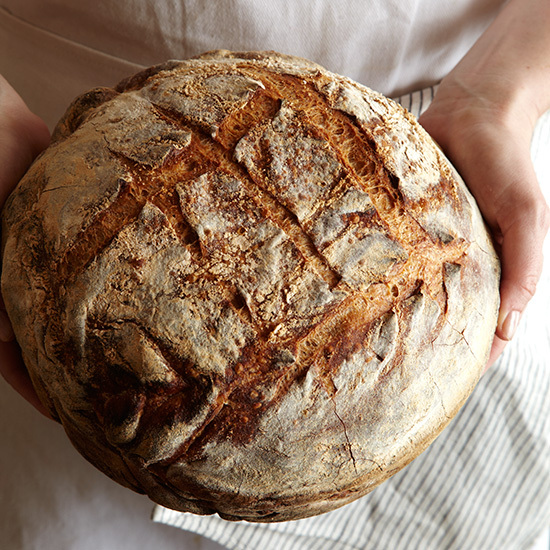 The recipe for the country loaf at Tartine Bakery has barely changed since Chad Robertson first opened the bakery in 2002. Since then he has only tweaked one thing: the flour. “I’m using a little bit higher-extraction flour than I was before,” Robertson says. “Higher extraction means a higher percentage of the grain. We originally used a blend of white and whole-grain flours, but I’m excited about this type 85 flour. At about 85 percent extraction, it’s the best of both worlds: more whole-grain flavor, without so much bran to weigh it down.” Here, Robertson shares his simple method to make an exquisite loaf of bread.